If you are looking for a safe steroid, then Prominate 100 mg is exactly what you need. In general, it is strange how to write about an anabolic steroid and realize that it is absolutely safe and has no side effects. 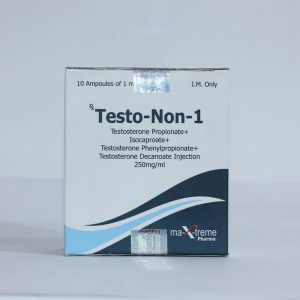 Describing the majority of steroids and hearing reviews about them in the halls, the Internet you understand that most of them still have side effects, somehow affect the liver or sexual function, but Prominate 100 is different. As I have already compared, Prominate 100 is a safe steroid and all because the scientists were able to synthesize the active chemical substance methenolone acetate without a methyl radical in the 17-alpha position, which means that Primobolan is not toxic to the liver. Another advantage of Prominate 100 safety is its very low androgenic activity, probably the lowest of all existing steroids. Primobolan’s anabolic effect is not as high as that of its steroid counterparts, but this is another plus for Primobolan. Moderate anabolic activity allows gradually build up absolutely dry muscle mass and also gradually condense it. Due to its gentle action, Prominate 100 can be taken in 1-2 mg / 1 kg. body weight. Example, an athlete weighing 100 kg should take 100-200 mg of Primobolan per day. The course of taking the drug is 8-12 weeks. Do not be scared because of the duration of the course, since the drug is not “thermonuclear” in terms of anabolism, then it needs more time to accelerate. You can often find the next stack of steroids – Primobolan 100-200 mg / day + Winstrol 150-200 mg / week. Primobolan can also be used in conjunction with Deca-Durabolin, which will create the effect of synergy (synergy) of drugs, revealing their full power. 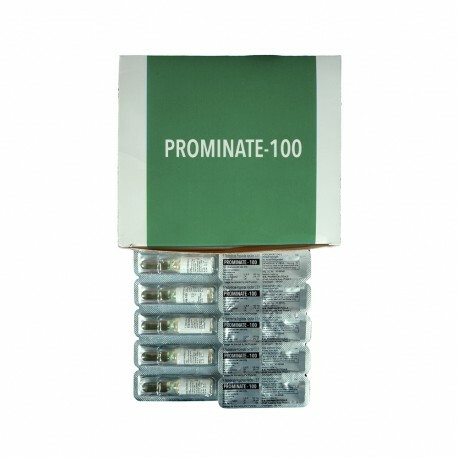 For advanced athletes, Prominate 100 will not give the proper result, since dosages and strength of action are too small for the “grated cakes” to feel the arrival, but beginners or guys whose ambitions are limited to just a beautiful, swinging body, and not competitions, may well be used by Primobolan, seeking impressionable results. Another positive aspect of Primobolan is the property of its active chemical substance methenolone acetate not to aromatize and not retain water in the body of an athlete, and recognize this is a huge plus opening up the opportunity to get high-quality dry muscle mass. Cholesterol and blood pressure also remain normal. Getting into the body, Prominate 100 turns into dehydrotestosterone and if an adult overestimates the dose, then the process of hair loss can be accelerated, but this is at huge dosages. 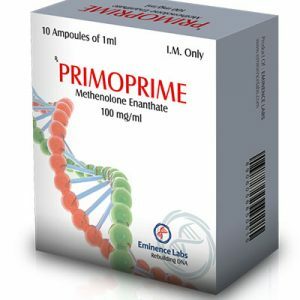 In addition to oral Primobolan, there is also an injectable form, in which the active substance methenolone is contained in the form of enanthate. Due to this replacement, the duration of action of the drug increases markedly, but the drug can also hold water, although not strongly. Injected at 200-300 mg / week, a course of 6-8 weeks. Prominate 100 is very similar to its counterpart in the Deca-Durabolin workshop, but still a bit weaker due to less androgenic activity.